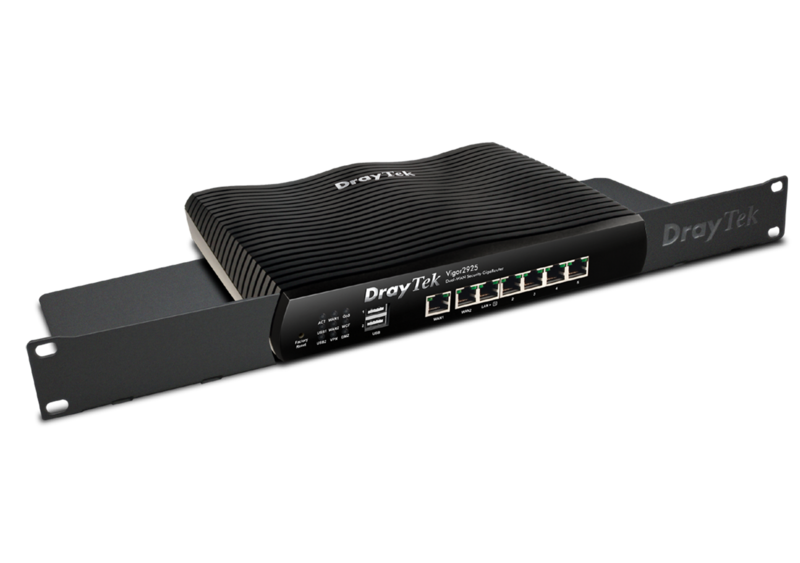 The DrayTek rackmount bracket is designed for Vigor2830, Vigor2860, Vigor2925, and Vigor3200 series router which you will deploy into a standard 19” rack or cabinet. The bracket size is one rack slot (1U). The front mounted sockets let your network management become easily accessible. A cable retainer at the back can allow the power cord be captive to avoid accidental disconnection. For wireless modes, we suggest you to consider extension aerials (or aerial extension cables) as the metal rack often interfere with wireless signals if you mount the aerials inside the metal rack. You can purchase the Rack Mount Bracket from local resellers or online shops when you need it.